Ecosystems are expected to experience simultaneous environmental changes. This study examines the interactive effects of atmospheric CO2 and plant community composition on grassland ecosystem functioning after a severe drought. Monocultures of the grass Dactylis glomerata were compared to a four-species grassland community under ambient and elevated CO2, with or without drought. Greenhouse gas fluxes, C and N pools in plants and soil were measured over a 55-day, post-rewetting period for all mesocosms. Experimental drought reduced aboveground biomass production, but increased soil inorganic N and dissolved organic C (DOC) across CO2 and community composition treatments. Following rewetting, droughted mesocosms had lower ecosystem respiration and higher N2O emissions. After 55 days, negative drought effects persisted on above- and belowground C stocks and root N stocks. Elevated CO2 reduced the magnitude of drought effects on ecosystem respiration, N2O fluxes and plant C:N ratios but increased drought-induced changes to soil DOC. The four-species mixture buffered ecosystem respiration from drought effects, but showed higher drought-induced increases in soil inorganic N shortly after rewetting. Elevated CO2 mitigates the effects of extreme drought on multiple grassland functions. In contrast, grassland composition appears to have mainly additive effects with drought and elevated CO2 in our simple sown systems. The online version of this article (doi: 10.1007/s11104-017-3377-8) contains supplementary material, which is available to authorized users. This study was supported by the ‘Agence Nationale de la Recherche’ (PULSE project ANR-2010-CEPL-010-04). 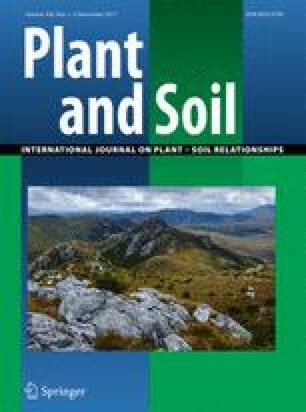 The authors thank the CEREEP-Ecotron Ile De France (UMS 3194, CNRS-ENS, Foljuif experimental station) for providing soil, and are grateful to D. Sévéré and S. Fontaine for help setting up and monitoring the experiment. We thank L. Conte, M. Coornaert, W. Daniel, M. Guérin, S. Lireux, F. Marmonier, and S-L. Redon for assistance with data collection and harvests. Thanks also to Katja Klumpp for helpful comments on a previous version of the manuscript.